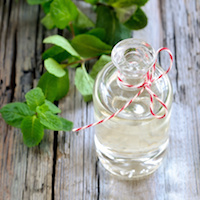 Peppermint oil is the latest irritable bowel syndrome (IBS) treatment recommended by gastrointestinal specialists. According to a previous article published in the European Journal of Gastroenterology and Hepatology, the study authors pursued a meta-analysis of the available options to manage IBS. The assessment included management options like various prescription therapies such as antispasmodics, antidepressants, and non-prescription options, such as peppermint oil, probiotics, and fiber. While the other treatment methods had been previously considered, peppermint oil was slightly new on the block and warranted four studies with a total of 392 patients. Results found that three of the four studies received a Jadad score – a scoring system measuring the quality of the study on a scale of 0 to five – of four or higher. Despite favorable results, the researchers acknowledged further studies and longer clinical trials with peppermint oil are necessary.